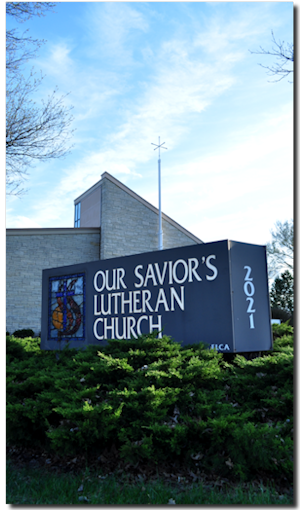 Our Savior's Lutheran Church welcomes you to our website! Our Savior's Lutheran Church in Topeka, Kansas is part of the Evangelical Lutheran Church in America. Our Savior's has a 50-year heritage as a leader in the Topeka area providing a worshiping and caring community that welcomes all. Our identity is rooted in the faces of those who enter our doors each and every day. We are called to proclaim God's amazing grace as revealed in Jesus Christ. We are called to live out our mission in our daily lives as we reach out to others and proclaim God's love. Please take time to visit our website and know that no matter who you are or where you are on life's journey, you are always welcome at Our Savior's Lutheran Church. Please join us this weekend for worship!